SPRING 2011 VSI WORKSHOP COPYRIGHT: ALL RIGHTS RESERVED? Copyright and consent form panel. Discussing issues relevant to multimedia dissertation work. 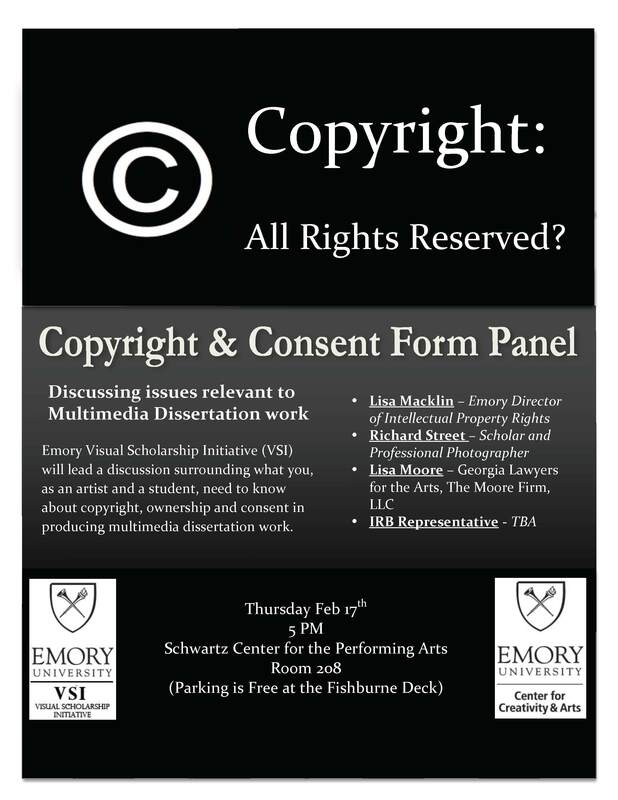 Emory Visual Scholarship Initiative (VSI) will lead a discussion surrounding what you, as an artist and a student, need to know about copyright, ownership and consent in producing multimedia dissertation work. 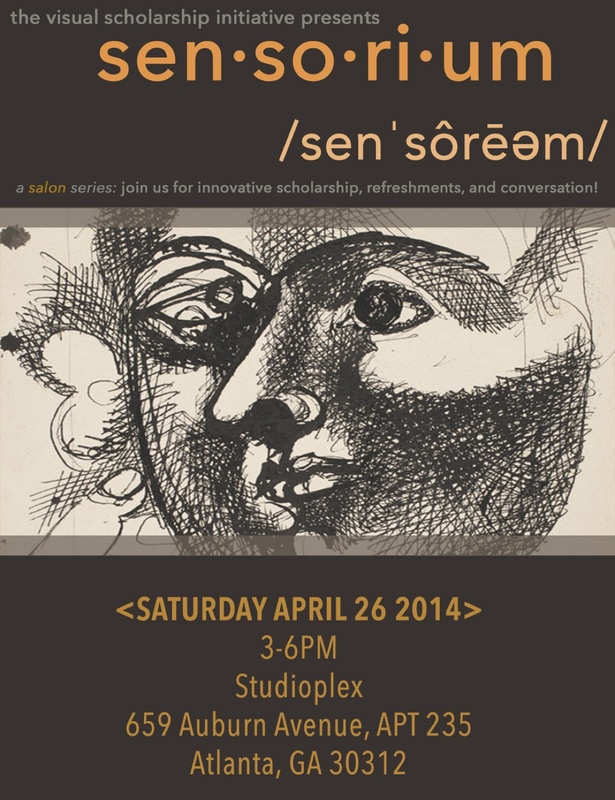 Sponsored by Emory Visual Scholarship INitiative and the Emory Center for Creativity and the Arts. 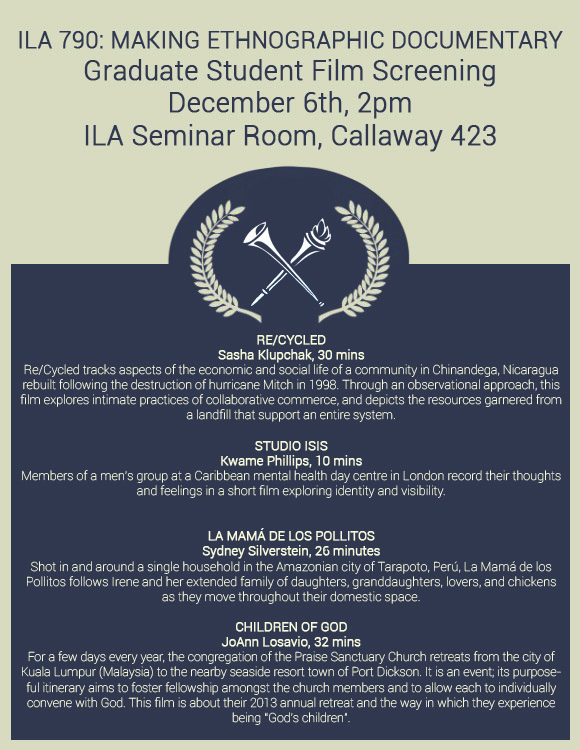 This Friday, 4 VSI members (Sasha Klupchak, Kwame Phillips, Sydney Silverstein, and JoAnn Losavio) will be screening their films in the ILA seminar room (423 Callaway) from 2-5 PM. 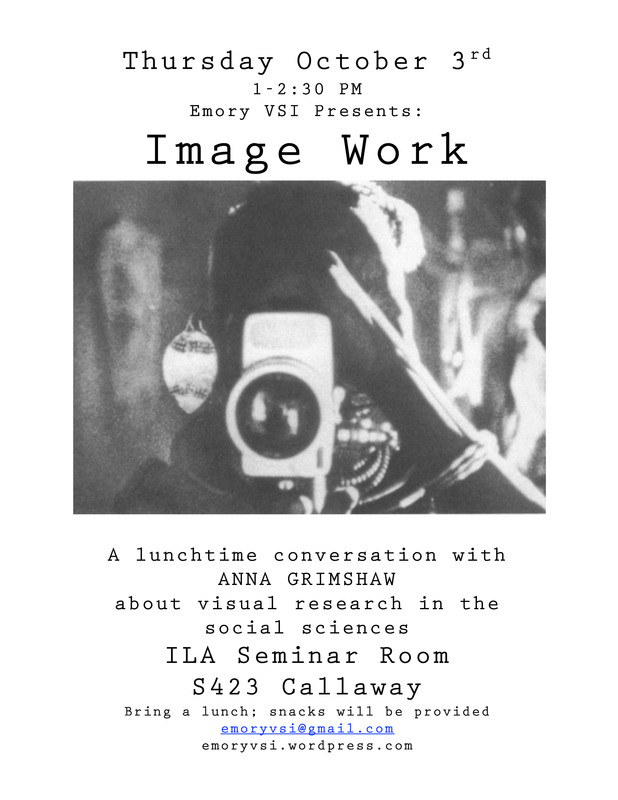 Join Anna Grimshaw for a lunchtime discussion on the history of visual research in the social sciences…bring questions and a lunch; snacks will be provided! 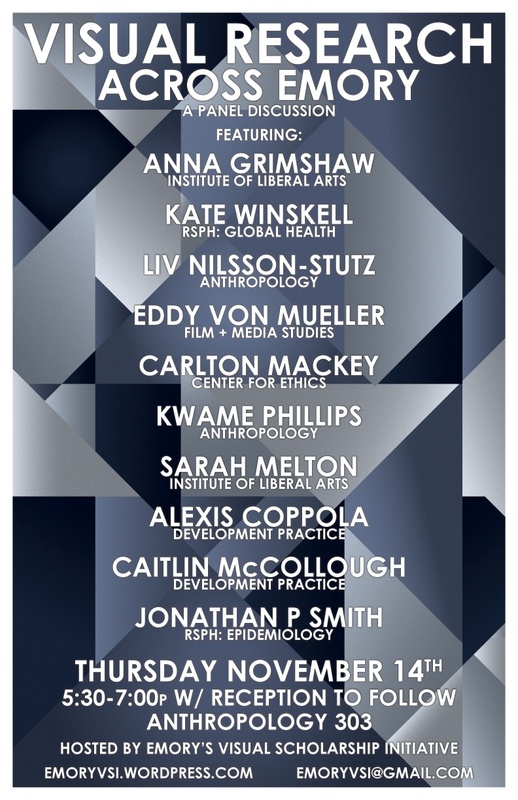 VSI member Fahamu Pecou, a doctoral student in the ILA, was awarded a prestigious Working Artist Project Grant from the Museum of Contemporary Art Georgia (MOCA). In addition to a stipend and paid studio assistant(!) stay tuned for Fahamu’s SOLO SHOW and MUSEUM CATALOG at MOCA. If you want to learn more about Fahamu’s work, check out the links under Member Web Sites. Congratulations Fahamu! Fahamu Pecou’s video, HEIR CONDITIONING, won the Audience Choice Award at the 2nd Annual BlackStar Film Festival. CONGRATULATIONS to Fahamu to pushing critical, visual scholarship to new levels!